Five brave military heroes have survived the hell of a Taliban prison to return home-and take on civilian missions no one else can. They're the men of ARES Security. Highly skilled, intimidating, invincible, and one by one, tested again and again. Lucas St. Clair's prestigious family had a political future neatly planned out for him-one that didn't include his high school sweetheart, Mia Ramon. Under their pressure, Lucas gave her up. But since surviving captivity, he's a changed man-and a crucial member of ARES Security. When he discovers a dead man clutching a picture of Mia that bears a threatening message, his fiercest protective instincts kick in, and he knows he must go to her. Mia has never forgiven Lucas for breaking her heart, and she's convinced her feelings for him are in the past. But it's soon clear that isn't true for either of them. 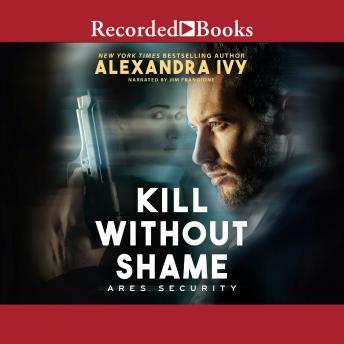 Now, determined to solve the crime and keep Mia safe, with his ARES buddies backing him up, Lucas will have to reconstruct the murder victim's last days-and follow a lethal trail that leads right back to the fate of the woman he still loves.